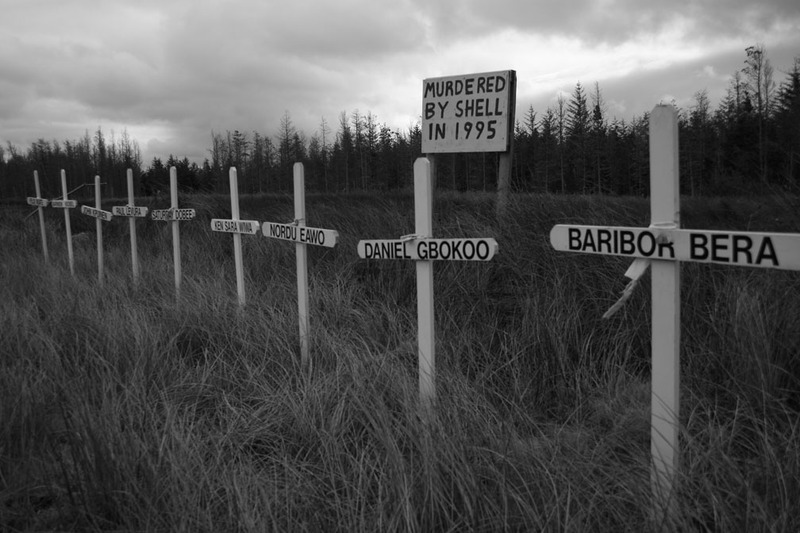 Nigerian writer, environmental activist and indigenous rights campaigner Ken Saro-Wiwa was executed in 1995, together with 8 other activists, by the then military regime on behalf of the multinational oil companies. 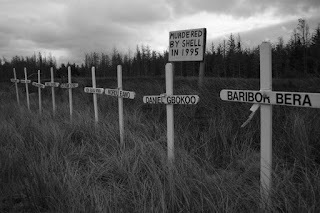 Saro-Wiwa's memory has been very important in Irish struggles, as the memorial to the "Ogoni Nine" at Bellanaboy, Co. Mayo testifies. Saro-Wiwa's last letters, to Irish solidarity activist Sr Majella McCarron, were recently donated to NUI Maynooth and published in 2013 as Silence would be Treason: Last Writings of Ken Saro-Wiwa (see reviews on OpenDemocracy and Red Pepper). The letters themselves are now available online via the Digital Repository of Ireland (search for "Saro-Wiwa"). There is also an audio archive, including interviews with Ken's brother Owens Wiwa and Sr Majella, available online here. The letters tell a remarkable story - a man on trial for his life, but with his political brain constantly active, thinking how best to take the struggle against Shell and the dictatorship forward at the same time as organising the campaign against his own execution.